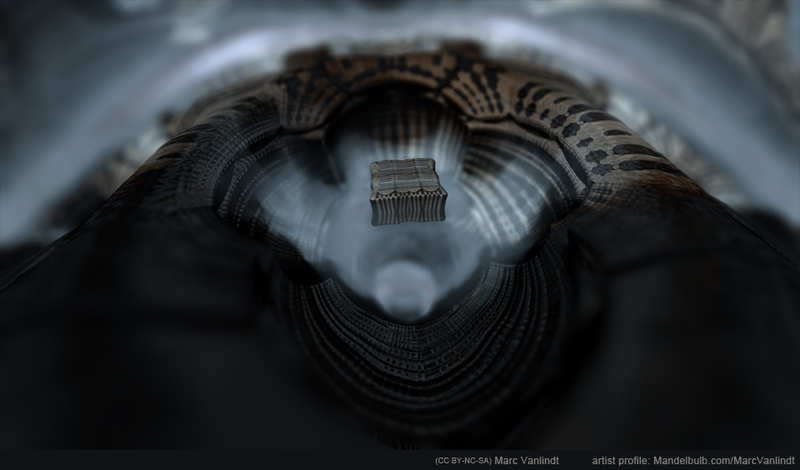 About: Marc Vanlindt is a wide-ranging digital artist. 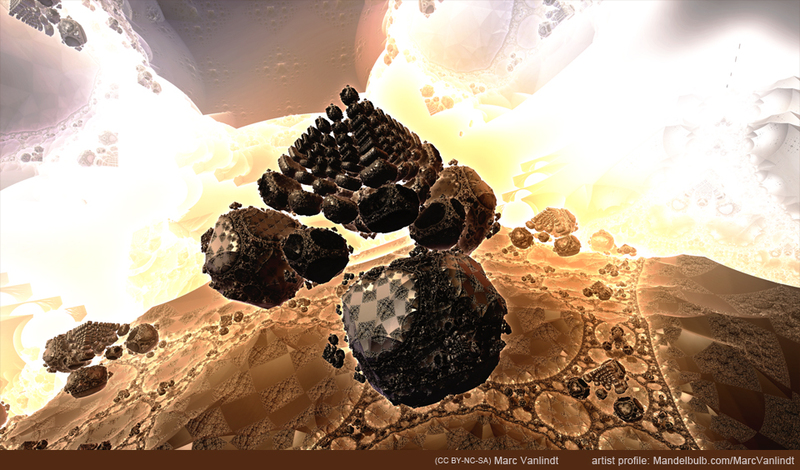 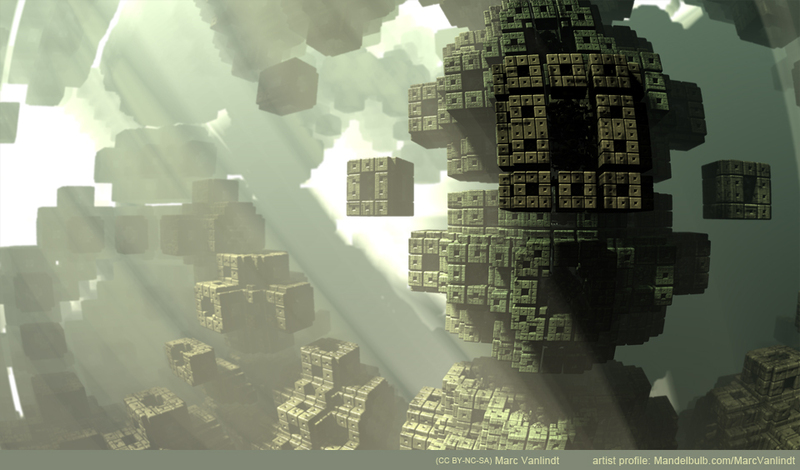 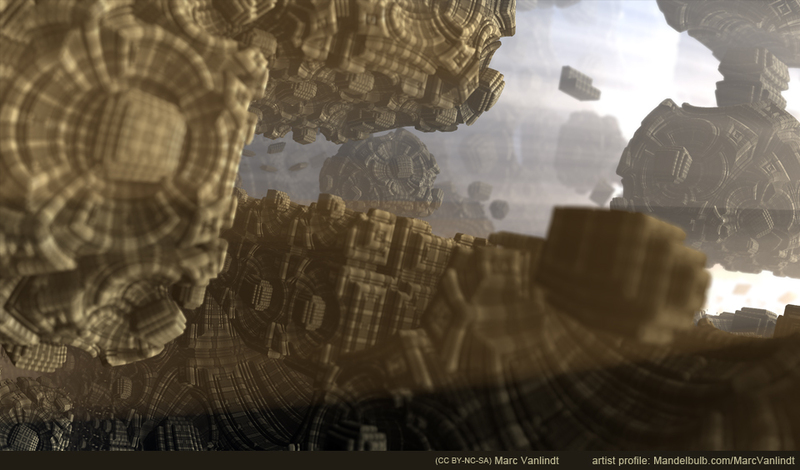 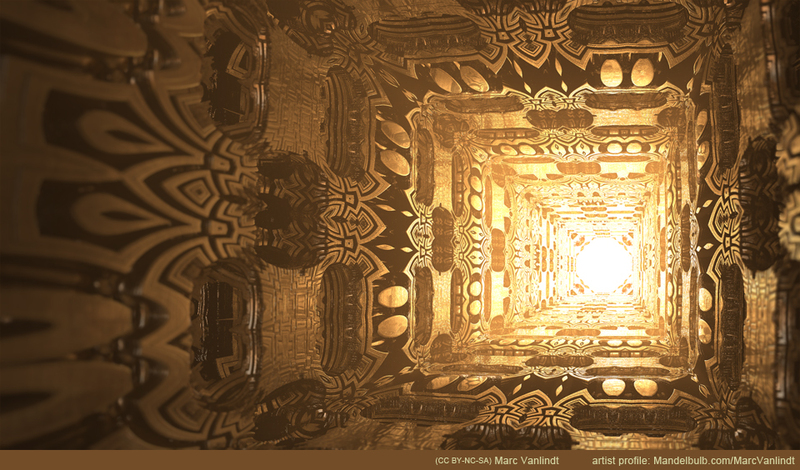 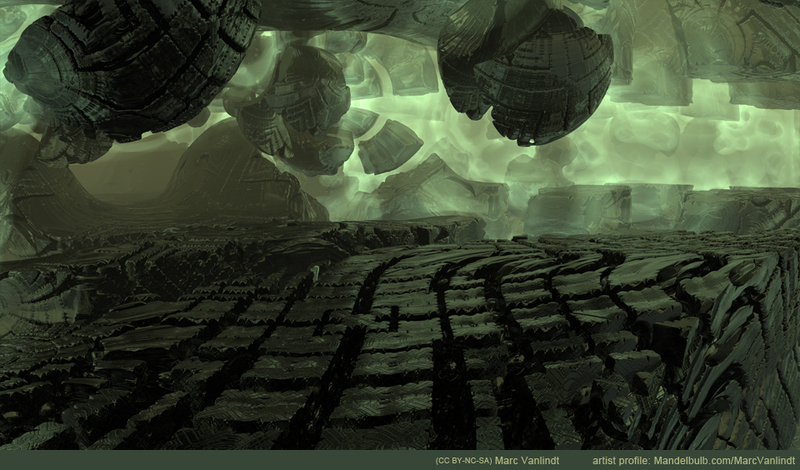 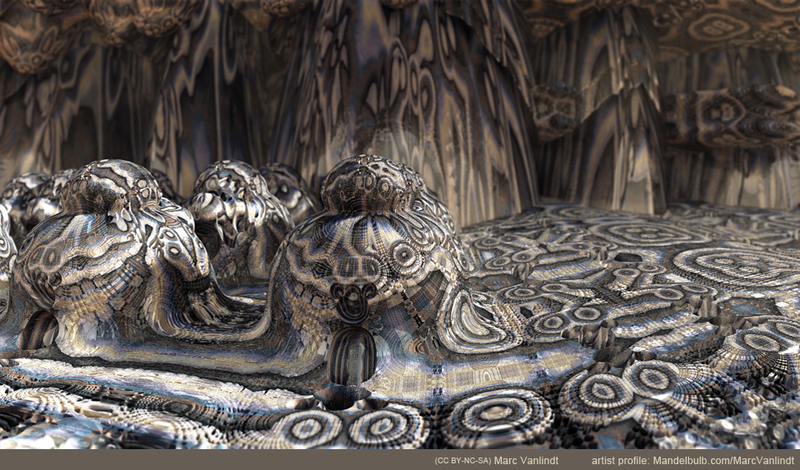 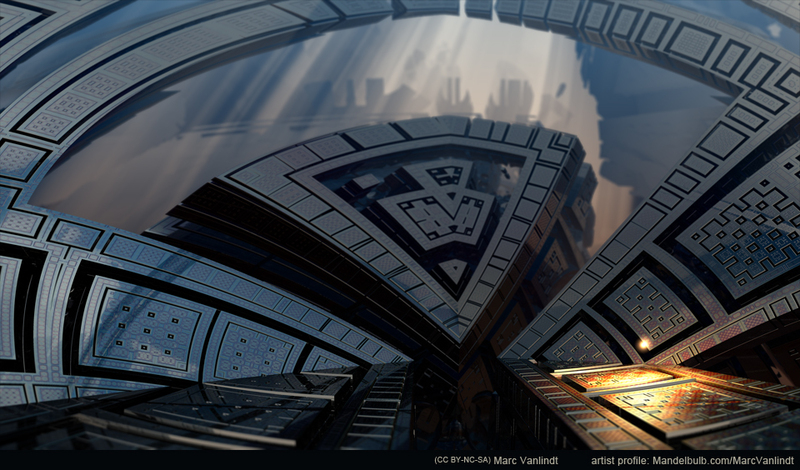 We’ve collected a gallery of his Mandelbulb 3D images here. 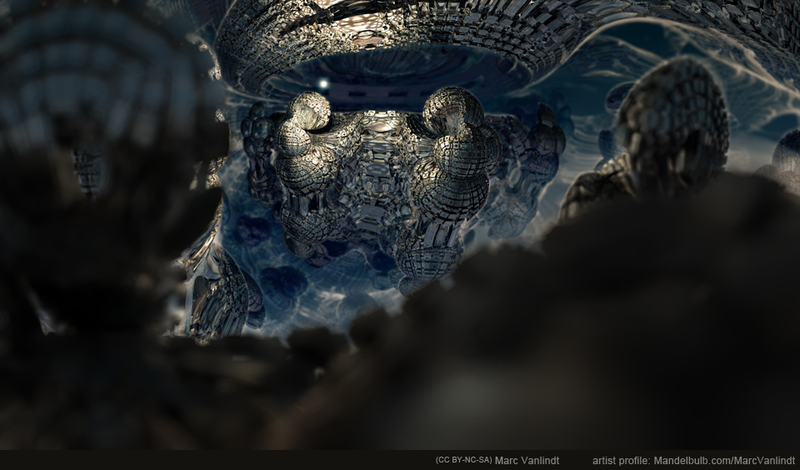 Beyond MB3D, Marc employs a number of other 3D rendering and image processing softwares and has created images, animations, and tutorials in diverse digital environments. 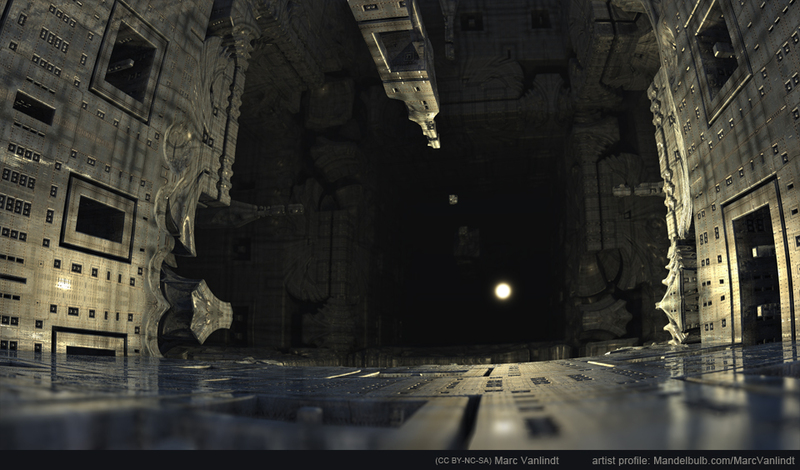 Marc’s MB3D art has a distinctive style, most often dark and moody, with dramatic lighting and highly refined environmental effects. 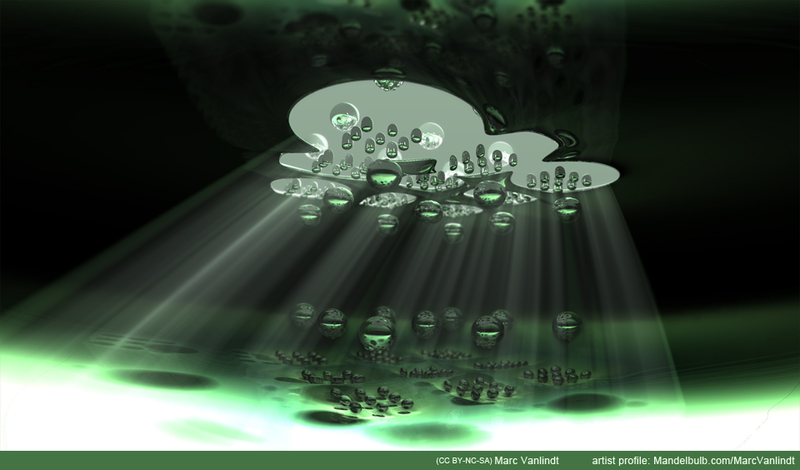 He frequently empolys exagerated depth-of-field effects and visible positional lights, creating mysterious spaces and implying action in his scenes. 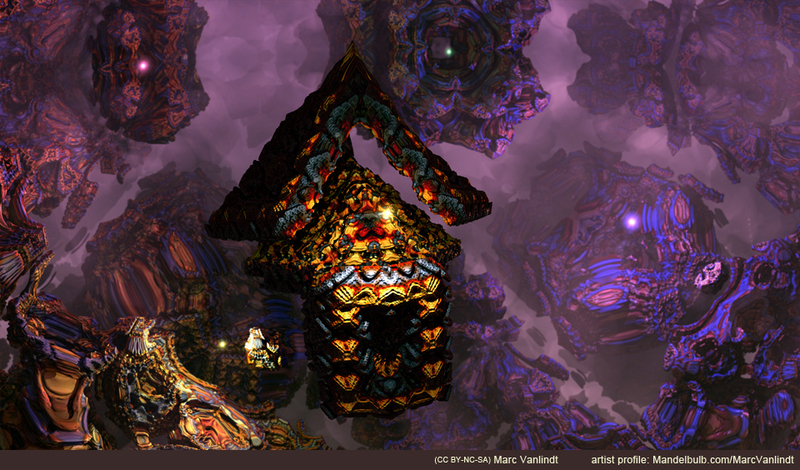 His work stands out both in its strong aesthetic and in the level of technical ability that it shows. 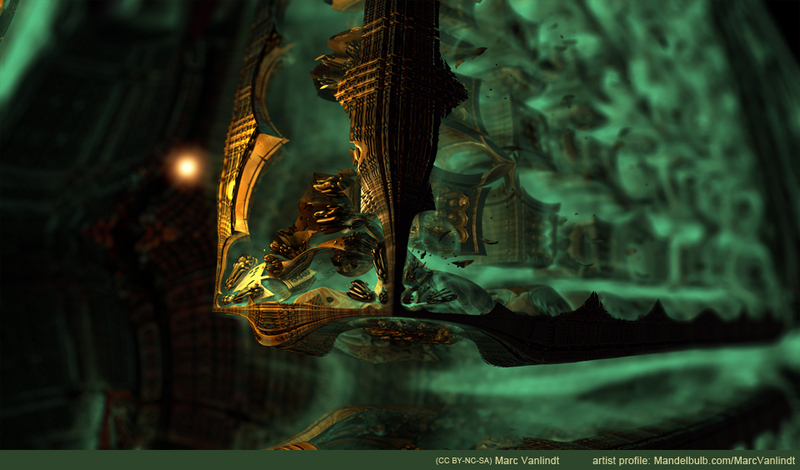 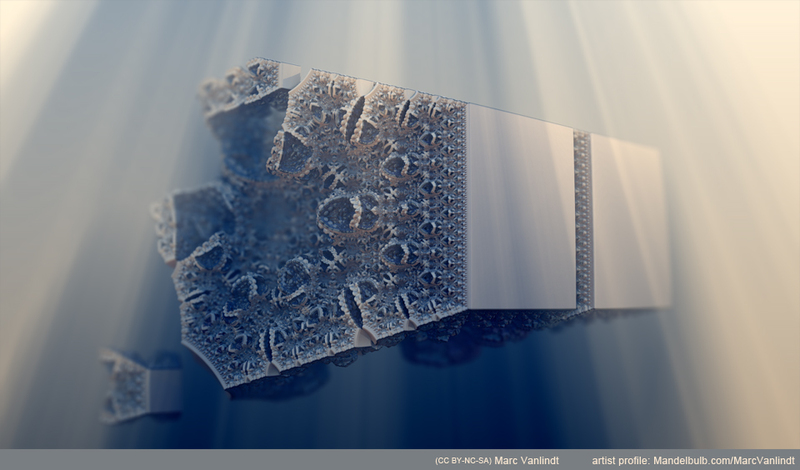 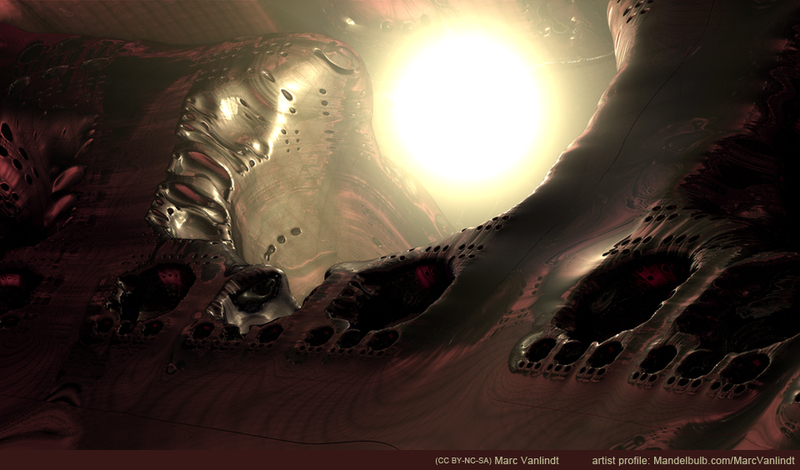 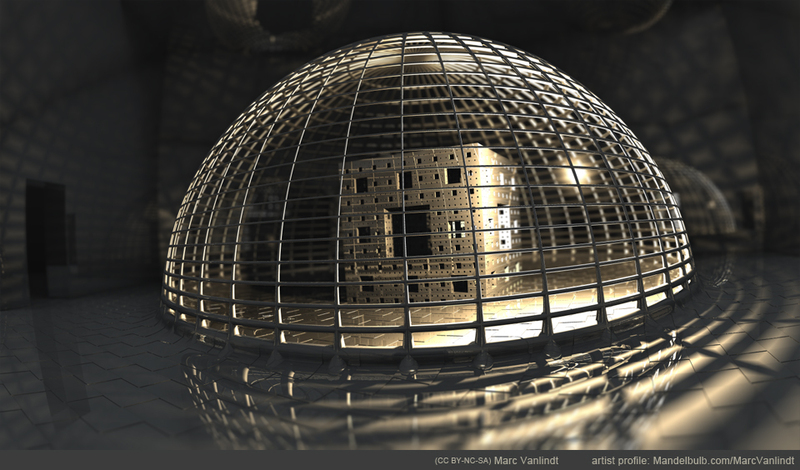 The following images were created with Mandelbulb 3D (MB3D). 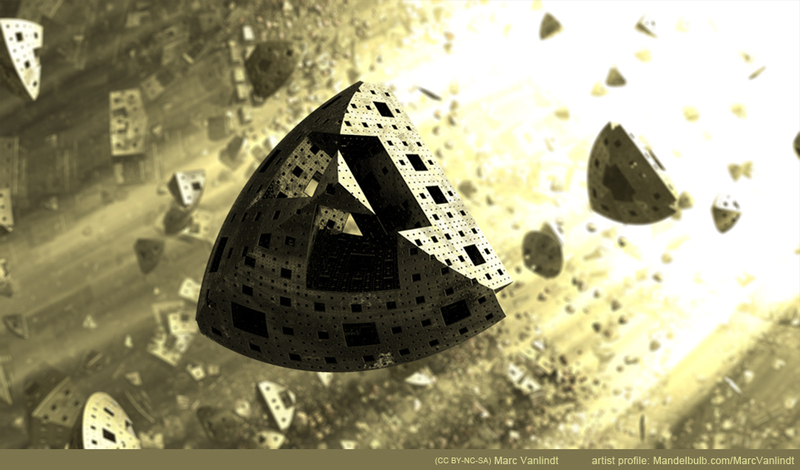 They are licensed under Creative Commons: CC BY-NC-SA, Marc Vanlindt. 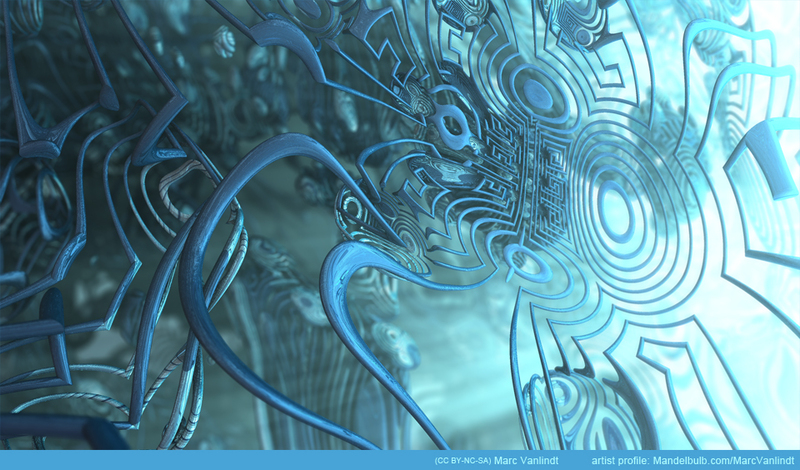 I’m blown away by how beautiful these are. 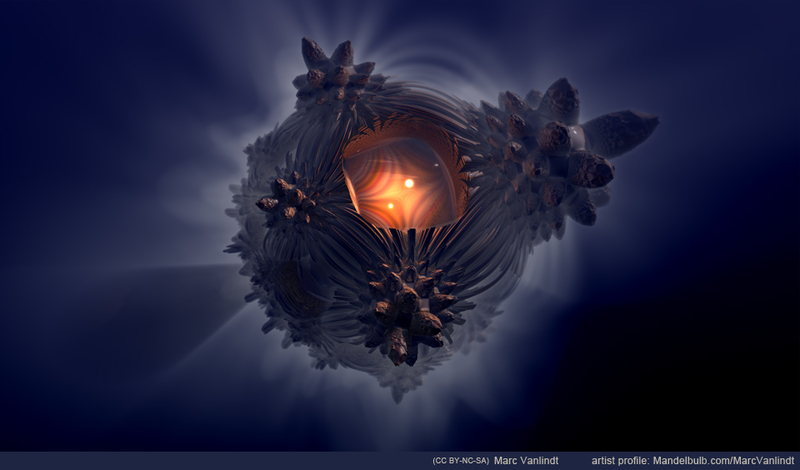 I’m going to learn how to do this. 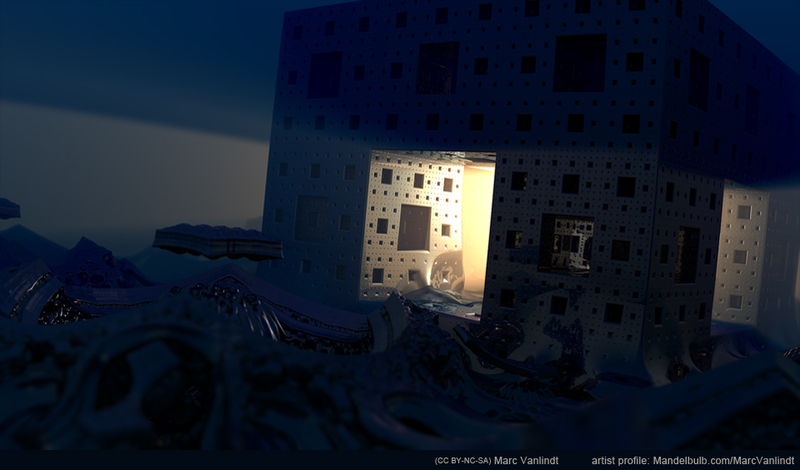 Thank you for inspiring me!